Time is something that almost every human being has a had a problem handling, because it waits for nobody. Apart from the fact that it doesn’t wait for you, it also flies very fast. So you can see why many people struggle with keeping to time. Effectively managing your time is very important, because good time management is the key to accomplishing simple daily activities to difficult and longer ones. There are so many tips offered to deal with bad time management such as to avoid procrastinating and start prioritizing. Those tips are very good. However the most important way to effectively manage your time is by making healthy choices. 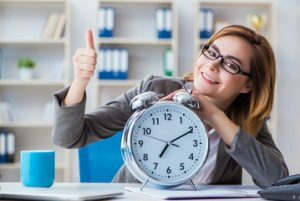 Your health is very important in everything you do, that’ why today you’ll learn the health tips for effective time management. These health tips are scientifically shown to improve your body and time management skills, stay tuned. How do you know if you are not managing your time well? Just like diagnosing an illness, you first of all understand the symptoms before giving out the treatment. 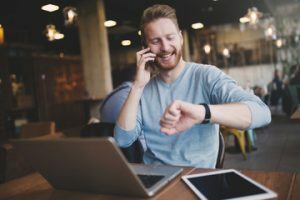 What are signs that show that you do manage your time appropriately? 1) Are you always arriving late for any event, no matter how important it is? 2) Do you wake up late and disgruntled? including those you personally set? 4) Do you always forget or find it difficult to hand in reports on time? If you answered ‘yes’ to 3 or more of the above questions then you really these tips. Remember we’ll look at it from the ‘health angle’. What are the health tips that can help you keep to time? Find out. Generally, early to bed, early to rise is the best way to manage your time but a proper and apposite sleep is much more potent. Sleeping on time is very good, however following the right sleep pattern is how you effectively manage your time. A healthy body requires quality sleep to function adequately. Note that it’s ‘quality’ not ‘quantity’, you don’t need to sleep more, in fact too much sleep will make you manage time poorly. Don’t treat sleep like a luxury, but instead a necessity. You need to sleep correctly, as an adult 7 hours of quality sleep will do. Proper sleep will help you remember things better and increase your performance level in every activity. This means better time management and improved mental health. We live in a world where everyone can’t do without there smartphone or any other electronic gadgets. Too much use of gadgets can affect our brain and our sleep. Most of the people who forget things easily or do not keep to deadlines are those who use electronic gadgets to a fault. Reducing the time you spend on your TV, laptop and smartphone can help you stay healthy and keep to time. Find out some health tips to follow if you use your smartphone excessively. How can you do this? Understandably, it may seem difficult, but curbing your screentime can help you keep to time and achieve your simple daily tasks. If you have an event to attend or work to do, try this. One hour before you sleep no phone, no laptop, no TV. Just finish all technology related activity one hour before bedtime. This is a health tip that very few people know. Do you know that people who stay in bed for long after waking up are 80% likely to go late to anywhere? This is something that everyone is guilty of, after waking up you are still in bed, lying down. You should get up immediately you wake, because it puts in the right frame of mind to go early and avoid procrastinating, hope you understand. Exercise is good for a healthy lifestyle. A person that makes fitness and exercise a priority will keep to time better than someone who doesn’t. Exercising is important in time management because it helps you both physically and mentally. Physically, by keeping your body strong and mobile, you can keep to time even when you feel tired. Mentally, by clearing your mind and helping you overcome mental distraction. Also practice, yoga and deep breathing exercises to improve your mental health. In effective time management, much depends on what we eat and when we eat. You don’t eat a very heavy food the night before attending an early event. If you even what to eat something heavy it should be eaten 2 to 3 hours before bedtime. Additionally, maintaining a healthy diet is also essential. A healthy mind and body is the key in managing your time. Remember time doesn’t wait for you and it also flies very fast. Thanks. 4 Popular Type of Movies You Watch And How they Affect Your Health.